Look, I don’t mean to be a sore loser, but when it’s done … if I’m dead … kill him! The elections are over and it played out like the final seconds of a heated game. Supporters from both sides held a collective breath as the magic 16 was reached. UDP emerged the winner. It was a well fought race on both sides. Neither side seemed to have the advantage, and the final results indicated same. The questionable tactics used by both parties did highlight some failings in our system. Corruption has spilled out and is now so open that it no longer offends the conscience of the reasonable man. The standard has been lowered in our society. With that said, there seem to be a new disturbing cultural trend emerging- little or no respect for the highest office of the land; the Prime Minister of Belize. Obviously the propaganda machine did not stop when elections’ season ended. In fact, Belizeans are being told there was voter fraud, election cheating and just about every allegations and enough misinformation to convince people that their vote did not count. I am seeing unfounded allegations being dangerously spread via the internet trying to convince people that PUP was cheated and they should be the rightful government; that Belize is headed for a dictatorship (for the past 5 years); that our PM resembles a monster who murdered 6 million people, namely Hitler. During the elections, Belizeans passively accepted the entire deterioration of our electoral process; however, the election is over and so should the silly season. Belizeans tolerated the most distasteful, disrespectful and personal commercials ever seen in the history of our elections and it seems the deterioration continues, except with a dangerous undertone now. It stinks of poor sportsmanship and PUP is emerging as a sore mean loser with the rhetoric and lies to instigate mischief. All these allegations by the way, attack the credibility of our public officers who conducted the counting in front of both parties and observers; it shows a lack of integrity of the people spreading rumors and it ultimately teaches our people and children to be disrespectful and distrustful of our leaders. One more thing, anyone ever wonder what is PUP’s unhealthy obsession with Dean Barrow? Methinks racism albeit subtle! How dare this black man talk to ‘us’ this way? Doesn’t he know his place? We are so colonial in our thinking that even some black people are taught to believe a black man should not be as powerful and as successful as Dean Barrow. Dean Barrow is no more or less arrogant than Said Musa was. Dean Barrow is as successful as any intelligent attorney in his field and there is no doubting his personal success. In fact, PUP rhetoric is a script from the Tea party rhetoric against President Obama. 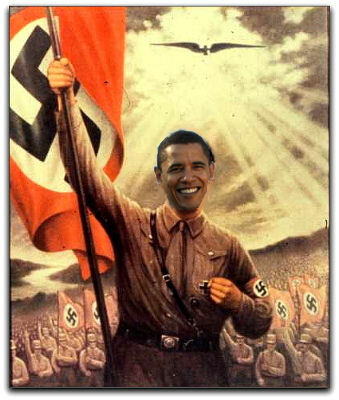 The same Hitler accusations; the same rumors about “taking away the country”; the same talk about Obama’s arrogance. I find the recent posting and allegations to be salacious, tasteless, divisive, racist and inflammatory. The election is over. PUP has lost! Accept defeat gracefully and move on. I am turned off with the divisive and disrespectful rhetoric. Please let us move Belize forward for all Belizeans. Not a good look PUP…Not a good look! One thing I have yet to hear from the PUP is the admission that the loss was strategically theirs. The UDP did not win, no sir….the PUP lost. And why, simply because their arrogance led them to alienate the two surest seats in the country. When I think how close the people of Belize came to electing a party that signed a secret accomodation agreement against the interest of our country, I want to fall on my knees and thank God for those two seats which saved Belize from itself. I am no huge fan of the UDP, but in this election, as in every election, I vote for the lesser of two evils. This time that was the UDP. The intellectuals are all online ready to criticized every darn word that is written and said. Aria, please remember that it was Dean Barrow that sent the forces that killed the cane farmer Atanacio Gutierrez, shot 3 others and beat up a number of other cane farmers on 2nd of February, 2009. We were all unarmed, yet he ordered and endorsed the use of deadly force. The following day at his press conference Dean Barrow announced that should the situation arise again, he will do it all over again. It was not 6 million, but it was enough. Up to today, there has been no inquiry, no trial, no investigation, no arrests, no charges, no justice. The victims and their families have not been compensated in any way by the government. So you still wonder why Barrow lost 5 out of 8 seats in the north? Come on. Get your act together. Do you live here in Belize anyway??? Do you have any clue who Hitler was? Faye will be educating people soon! It hardly seems fair that you should call out Aria and yet remain anonymous. However, to address your allegations, have you contacted any international organizations to investigate this incident? It is perfectly within your rights to do so since you feel that the government of Belize has been inadequate in addressing it. 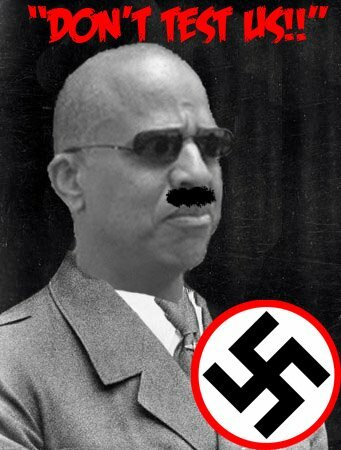 In the meantime, calling Dean Barrow “Hitler” only muffles the call for justice. One needs to realize that extremely radical type propaganda is quickly dismissed by most. It’s simple psychology. I hardly want to say anything at all but I must agree with the previous comment. Come on Aria, this sounds like something Bill O’Reilly would’ve written. Oh man Glenn stop it. You lost this one… Please! Wow. Glenn Tillet. Bill O’Reilly? He would have probably liked the Hitler rhetoric. Wrong comparison, for sure. Hmmmm…don’t usually find much to criticize in your writing and won’t spend much time doing so here. But there are some seriously flawed, skewed premises in this column resulting in some outlandish speculation. It is not your place to call the allegations of voter fraud ‘unfounded’ just as it is not my place to call them ‘credible.’ Neither of us was there…but I will say that if I fight like a dog to the end, lost by 11 votes, ask for a recount and am denied for no reason, I would be pissed too. I feel that if the allegations are unfounded the Courts will find them so. If they are credible the Courts will find them so. We as writers sit on the sidelines so we don’t know the emotion and passion which goes into every campaign – but I know if I felt in my heart I was cheated and what was at stake was the very path of a nation for the next five years, I would fight to the death – die gracefully, HELL NO. The other thing is the racism thing. I sit here in front of my computer and I am genuinely offended by your comments and frankly amazed by how you reached that conclusion. “How dare a black man talk to us this way? We are so colonial in our thinking that even some black people are taught to believe a black man should not be as powerful and as successful as Dean Barrow” Seriously? So I guess I can’t criticize him because he is black. I can’t say he is arrogant because we are being racists. I can’t accuse him of being pompous and inflexible and cold because, God help me, that would make me a racist. This is a complete cop-out and is too ridiculous to even invite more comment. You want to hear one good thing about Dean Barrow – HE has never played the race card – i.e. suggested that criticism aimed at him is because of his colour. He knows better. I think you could learn from his example. Racism and prejudice exists in every crevice of our society. We can pretend it doesn’t exist or we can acknowledge it and address it. I am sure if you walk around Belize and speak to a poor person if prejudice exists he would say yes. If you speak to a Mayan if racism exist he would say yes, if you speak to a Garinagu If racism exists he would say yes, If you speak to an immigrant if racism exist they would say yes, If you speak to a dark skin person if racism exist he would say yes, of you speak to a mennonite if racism exists he would say yes. If you speak to a woman and ask of sexism exist she would say yes. The information that is being spread is strategically used to stir bitterness in people and incite negative feelings of racism. This is an observation. Read the rhetoric that is out there and then wake up to the reality of what Belize is deteriorating into.